We wanted to begin the week by letting you in on our routine and life around here at The Fresh Exchange and Wild Measure. Every few weeks we are going to try and give some kind of insight into what we are thinking and working on. So here we go! It took me far too long to learn the lesson that a business should not only be looking forward to the next quarter, but also the next year. I haven’t always been a big planner, so it scared me to think months ahead. I was always afraid that if I became to far sighted I would loose touch my creativity, but I have learned that in fact it is quite the opposite. Knowing what is ahead keeps us from creating out of desperation. By planning ahead, we are able to begin projects early and leave space to day dream and explore new ideas. After all, isn’t the down time when we are most creative anyway? So, as we enter into November we are already signing new clients for 2015 and working through blog content series for the upcoming year. We have some big dreams. Some really fun stuff is ahead. 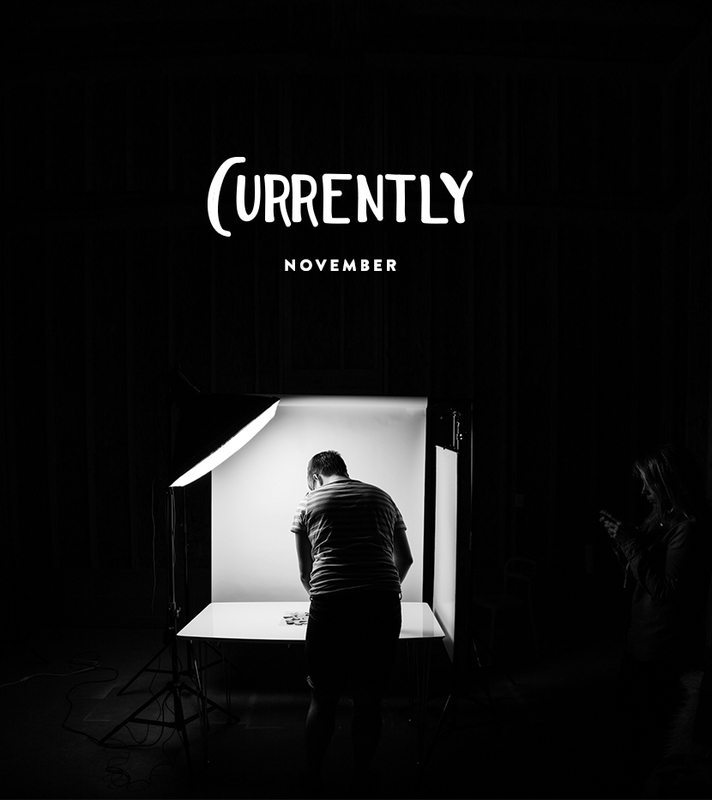 The first of many of those big things coming up is our new blog design, which launches on November 18th! Mark your calendar! We worked through over 18 different psd homepage designs and have been working on it for over 8 months before we landed on the final version. We went back to our roots and spent many long nights chatting and tossing around ideas. Without a doubt this is going to be a big jump forward for the blog, but one that we now feel confident is the right direction. We cannot wait to share it! So why not just launch it now? We would love to! But we have almost 1500 blog posts we are recategorizing and a lot of QA to do. However, as we are going back through the 5 years of blog post, we absolutely feel like we are headed in the right direction for this new stage of The Fresh Exchange. Oh and the long awaited Wild Measure website is finally going live in the coming week(s) as well. FINALLY, right?! Did we mention we are making some big updates. We have been working on the Wild Measure website since day 1, but finally feel we have the proper direction and this one only took 9 full website versions before finally coming to the final. Most of our struggle with this site has been the wording and defining of Wild Measure. We plan to talk deeper about this upon the launch. Clearly, November holds a lot of new things. As busy as Mike and I are, we both try to always have a book in process. Usually, we are reading different books and we will fill each other in on the highlights of each book. It helps us kill two birds with one stone since we don’t have as much time to read as we would like. I highly suggest picking up both of these books, or at least the audiobooks to listen to while you work. I think pretty much all of you will find them helpful as business owners or even just as humans desiring a fulfilling life. 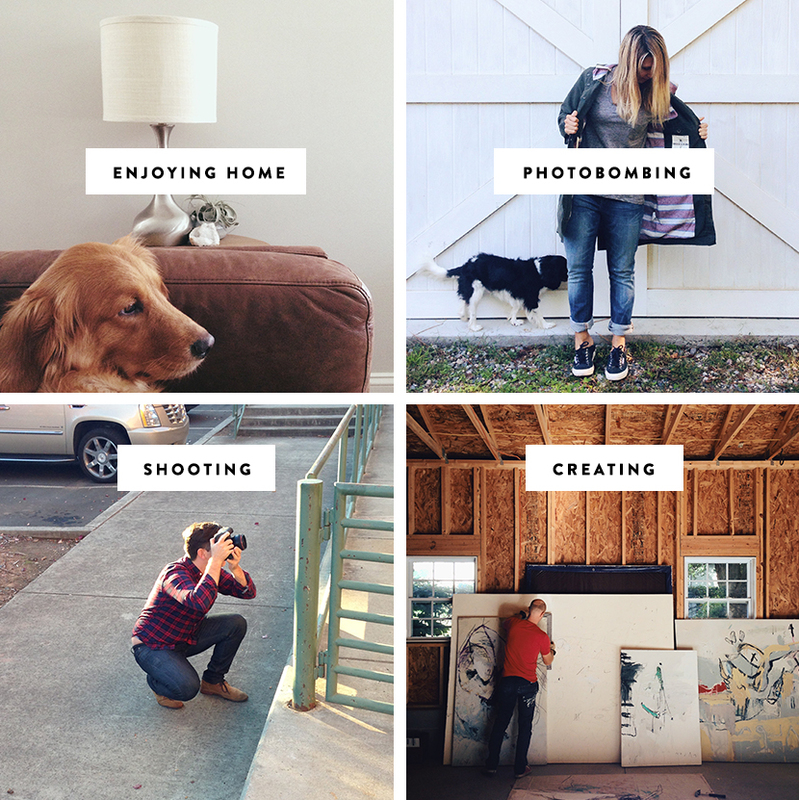 It never fails, we have the hots for brilliant creative entrepreneurial married couples. Last March, we met up with Caroline and Jayden in Seville, Spain and since have been creative soul mates. For everything we have in common, we also have an equal number of things that make us completely different. Honestly, this is part of the magic of knowing each other. We were lucky enough to stay with them in LA and during that time saw them go through a VERY insane week with smiles on their faces. It was really inspiring to see another couple fighting the good fight. During that time we saw them shoot their home for a feature, prepare for a massive month of travel all over the world, and even had time to convince us that pink is an awesome color. The longer we work together as a creative couple, and meet other creative couples, the more we are realizing how wild of a ride it is. We have come to terms that we really need each other’s support. Caroline and Jayden continually inspire us to take risks, let go of things when we should, and hug it out when it gets rough. Oh, and if that doesn’t solve it, we have learned that a pitcher of sangria can. Currently they are on a trip with a group of other creatives in India and honestly they are making us wish we had jumped on board with them. Their spirit for life and adventure never stops inspiring us. Check them out! We promise they will get you inspired. Left to right clockwise: Enjoying Home: Being home has been the perfect recharge for our creative process | Photobombing: Tucker is the master photobombing lately… his fuzz was too cute to not post | Shooting: this last week we shot Arrowhead for a feature coming up this month | Creating: Corey Mason has currently taken over our studio, until we finish it and move back in. It is amazing to see his work progress and talk about what is inspiring him in the moment. The creative energy in that space is only growing. Everyday is different, but these three are the consistent bands this month. I highly suggest listening to all three if you haven’t heard them in the past. We will show y’all some photos soon, but this space has been on our minds everyday and until it is finished, I don’t think it will go away. We are saving, planning, and doing all we can to make sure we can finish this space before the end of Spring 2015. I have mentioned before that I have always dreamt of having a work space beyond our home. We, like many of you, have worked out of our home offices to keep overhead low and allowed us to take other risks in the business as we grow. Just over a week ago we met with In Situ Studio to begin the process of designing the function of the space. We also spoke with Arrowhead about working with us to help us make the dream a reality. Together, our hope is to bring in the most amount of natural light, while keeping the space warm, inviting, and inspiring. Thanks to both of these awesome companies, we now have a vision and plan for the space that is beyond our wildest dreams. Fall has officially arrived in Raleigh. This means it is time to layer up. We are wearing a ton of plaid, knit, denim, and I am living in my loose skinny jeans. I got into these jeans at the end of the Summer, but basically they are the perfect combo of a boy jean + skinny jeans. Nothing more comfortable. These are pretty much my dream jeans. Thank me later when you find your booty in a pair. Oh and men, Mike is going old school and just ordered a pair of the 501 original cuts from the 1940s. More on that to come. We are heading into the mountains of North Carolina today for a photoshoot for the night and then heading back home Tuesday. It is a pretty short trip, but really we are really excited to see another part of the state we haven’t explored yet. We would love to hear some of what is happening this month for you? What are you reading? wearing? working on? inspired by? dreaming about? Hand it to us! We want to hear!! Planning can indeed be scary. Lots of great things ahead for you two! Fun!!! You have a lot of exciting things coming up! I can’t wait to see the new blog design later this month. Can you believe it is November already? The cool weather has arrived in New York as well, but I am enjoying over-sized sweaters, blazers, my skinny jeans and riding boots! Oh that is awesome!!! Yeah he is really excited about it 🙂 Will let you know for sure! I’m glad that you guys are thinking so ahead! This is a really good practice especially with the holidays coming around and taking a lot of our time. I’m looking forward to your posts and creative projects! This is great! I feel like your true unfiltered voice is coming out in this post!! well done! Ah! I’ve definitely been trying to plan for 2015 as well. The only thing I’ve planned so far is that I’m closing my design doors in December to finish projects, move over to South Carolina, and then travel back to Tennessee for the holidays with my husband. Aside from that, I’m hoping to redesign my blog, but we’ll see.